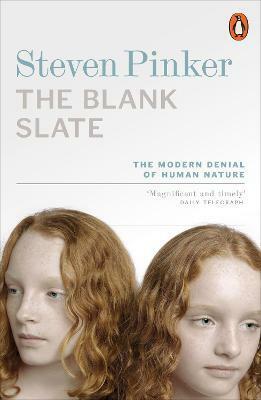 Recently many people have assumed that we are blank slates shaped by our environment. But this denies the heart of our being: human nature. Violence is not just a product of society; male and female minds are different; the genes we give our children shape them more than our parenting practices. To acknowledge our innate abilities, Pinker shows, is not to condone inequality, but to understand the very foundations of humanity. The blank slate, the noble savage and the ghost in the machine: the official theory; silly putty; the last wall to fall; culture vultures; the slate's last stand. Fear and loathing: political scientists; the Holy Trinity. Human nature with a human face: the fear of inequality; the fear of imperfectability; the fear of determinism; the fear of nihilism. Know thyself: in touch with reality; out of our depths; the many roots of our suffering; the sanctimonious animal. Hot buttons: politics; violence; gender; children; the arts. The voice of the species. Appendix: Donald E. Brown's list of human universals.